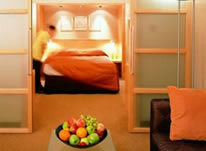 Hotel Hoppa service (£5 single or £9 return) to & from Heathrow's Terminal 5. The Hilton Airport Hotel is an ultra-modern hotels conveniently linked by a covered walkway to Heathrow Terminal 4. All rooms are ensuite (bath and shower) with tea and coffee making facilities, satellite TV, pay per view movies, telephone, hair dryer and trouser press. Not Required to Terminal 4, if you are flying from terminals 1,2 or 3 you can use the Heathrow Express free of charge or take the Hotel Hoppa service to & from Heathrow's Terminal 5. Not Required to Terminal 4, if you are flying from terminals 1,2 or 3 you can use the Heathrow Express free of charge or take the Hotel Hoppa service ( £5 single or £9 return) to & from Heathrow's Terminal 5. The hotel's health club has a pool, sauna, solarium and beauty facilities. Everything worked as expected - Overnight stay in comfotable hotelll close to T4 plus 15 days parking, so car was waiting on return. Extremely convenient for T4 departures. Lovely, quiet and contemporary hotel. The Hilton Hotel is very easy to find and has an appropriate area for unloading the car. A porter service is available but taking luggage into the hotel is very easy. The hotel is nicely positioned and has an outlook onto a lake area. There are health and spa facilities on site. Terminal 4 can be reached via a covered walk way and is about 5 - 7 minutes from the hotel. Car parking is on site at the hotel but as we discovered is not owned by the hotel. On return from our holiday we collected our car at 20.30 on the correct day as arranged with our booking, but because we had parked up at 16.00 the previous week when checking into the hotel, we had exceeded the 24 hour time allocated. On finding that our ticket to get through the barriers did not work we had to re-park the car return into the hotel to be told this information and that we needed to pay extra money. This information was not explained when we checked into the hotel. Very convenient for a hassle free transfer to and from your flight. Excellent concierge who saved our trip by protecting our vehicle which had been left with a window open during our holiday. Only downside the evening meal was quite expensive but outweighed by convenient location. Customer service was great. The only thing i was disappointed with was the fact that the parking facility was not undercover. I have a convertable and I do not normally leave it out overnight. Had I realised it was to be left in the open, I probably would have made other arrangements. Excellent disabled accommodation. Easy access, weith or without hotel assistance, by wheelchair through walkway to Terminal 4 Departure Area. Disabled access to car park difficult - access over road and down external stairway. Need to warn travellers that car parking expires 15 x 24 hours from time of arrival and not just 15 days from day of arrival. Need to arrive as late as possible to avoid over-run parking charges caused by delayed flights, clearing Customs and slow baggage handling at Terminal 4.